Our raspberry jam is made only with whole raspberries from our farms, which we harvest when the sun gives them the right level of ripeness. This makes it the jam with the highest percentage of fruit in the market – 80 per cent. It is perfect and delicious when combined with toast, cheese, pâté or yoghurt. Our top-quality blueberry jam has a fruit content of 75 per cent. Its texture makes it ideal for use with pâté, foie gras and cheese. 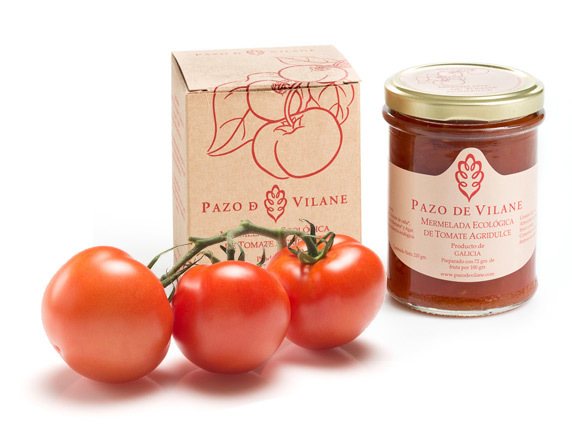 Our tomato jam is made only with whole tomatoes from Pazo de Vilane’s lands, which are grown using an organic production system. Because our tomatoes are picked when they reach the right level of ripeness, the fruit content in this jam is 72 per cent. As part of our organic method of production, we use the manure provided by our pasture-raised hens, which helps enrich the land in our tomato and berry fields. 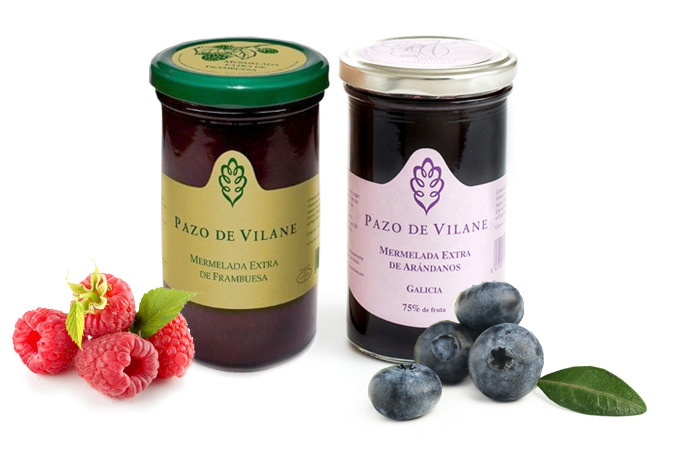 Our artisanal raspberry and blueberry jams are made only with whole pieces of fruit from our farms, which we harvest when the sun gives them the right level of ripeness. Our raspberry jam contains the highest percentage of fruit in the market, 80 per cent, while the fruit content in our blueberry jam is 75 per cent.